Valery Liukin thrilled the sporting world in 1987 as the first gymnast in history to compete a triple back somersault on floor exercise. Liukin continues to have a major impact on gymnastics with his dual role as coach and father to daughter Nastia Liukin. 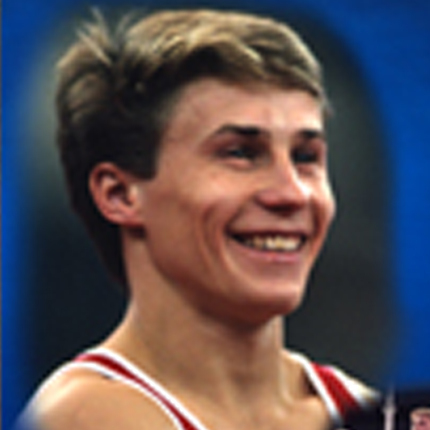 Born December 17, 1966, in Aktyubinsk, Kazakhstan, then part of the USSR, Valery Liukin thrilled the sporting world in 1987 as the first gymnast in history to compete a triple back somersault on floor exercise. The element, which helped Liukin win the 1987 European Championship, is still considered the most difficult skill ever performed by a gymnast. 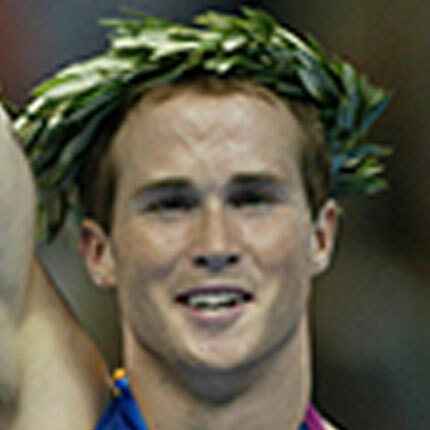 During his career, Liukin would go on to win a total of seven European Championship medals (5 gold, 1 silver, 1 bronze). At the 1988 Olympic Games, Liukin won gold medals with the team and on high bar. He also captured the all-around silver, a mere .1 shy of the gold medal. After winning the all-around bronze medal at the 1991 World Championships, Liukin moved with his wife, former rhythmic world champion Anna Kochneva, and daughter Nastia to the USA. Together with five-time world acrobatics champion Yevgeny Marchenko, the Liukins opened World Olympic Gymnastics Academy (WOGA) in Plano, Texas. Liukin continues to have a major impact on gymnastics with his dual role as coach and father to daughter Nastia Liukin, the U.S. junior national champion in 2003 and 2004 and senior champion in 2005.